Why study Italian? Not only because it is universally recognized as a wonderful language, but also because it is the key to access a unique cultural heritage, an incomparable lifestyle and productions of excellence at a global level. 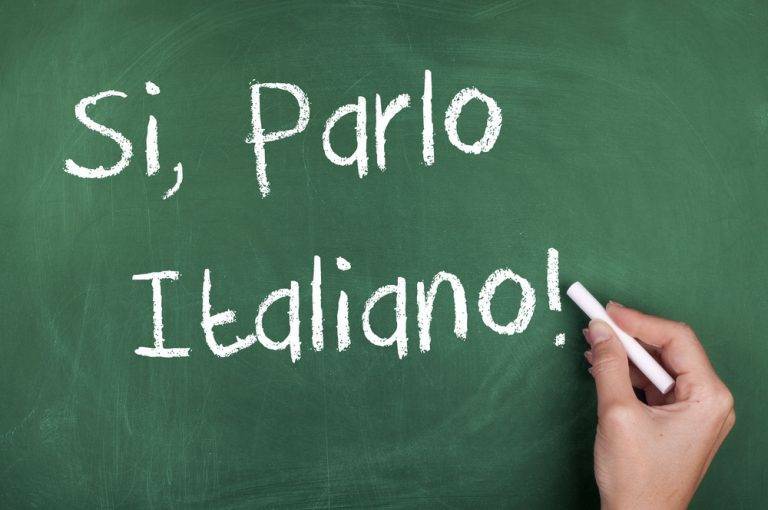 Italian Language, should not be underestimated, becomes more and more an important language also in the world of businnes. 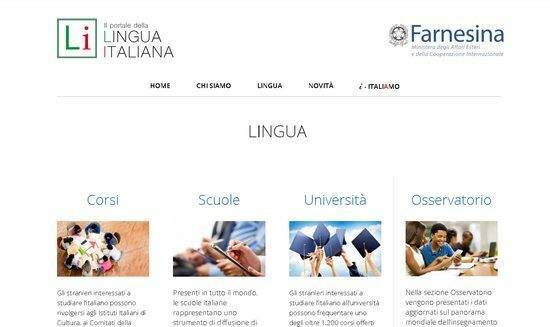 The Ministry of Foreign Affairs and International Cooperation has created a platform entirely dedicated to teaching Italian language and promoting Italian culture abroad, which can be enjoyed by anyone who needs or wants to learn Italian, or even just wants to enhance it. 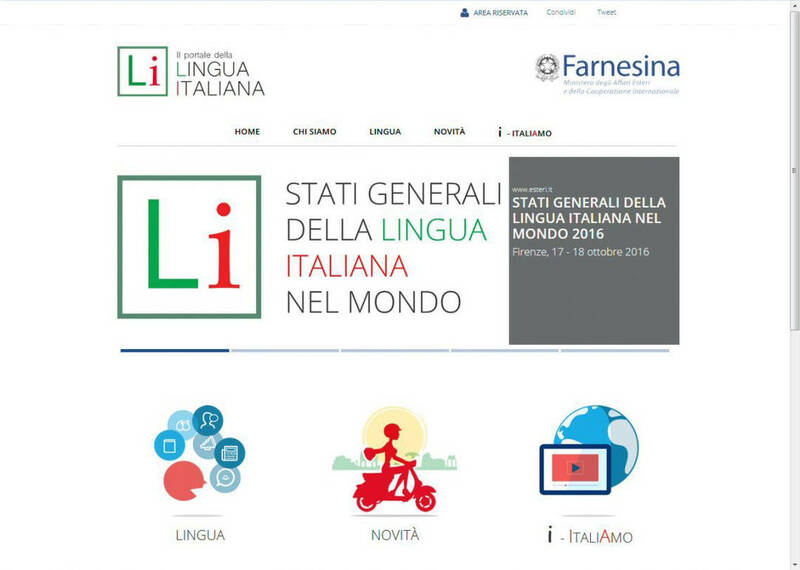 The “Portale della Lingua Italiana” aims to be a reference point both for foreigners, supporting them in their path of integration and acquisition of language skills, and for Italians in the world, allowing easy access to all information related to news and events organized at international level. The home page shows three main sections (LANGUAGE, NEWS and i-ITALIAMO), each one divided into sub-units. By clicking on LANGUAGE, a periodically updated section, foreigners can gather information on the COURSES provided by the Italian Cultural Institutes and by the other bodies linked to the Italian community; on the study of Italian in SCHOOLS and UNIVERSITIES abroad; on the updated data regarding the world scene of teaching Italian in all learning contexts (under the heading STATISTICS). The NEWS section, which is dynamic and subject to a continuous update, allows access to the main NEWS related to the teaching of Italian in the world, to EVENTS promoted by the diplomatic-consular network and to the DOCUMENTS selected by the Scientific Societies in the linguistic field. i-ITALIAMO, finally, is a container of videos, promotional ads and interviews collected in Italy and around the world. 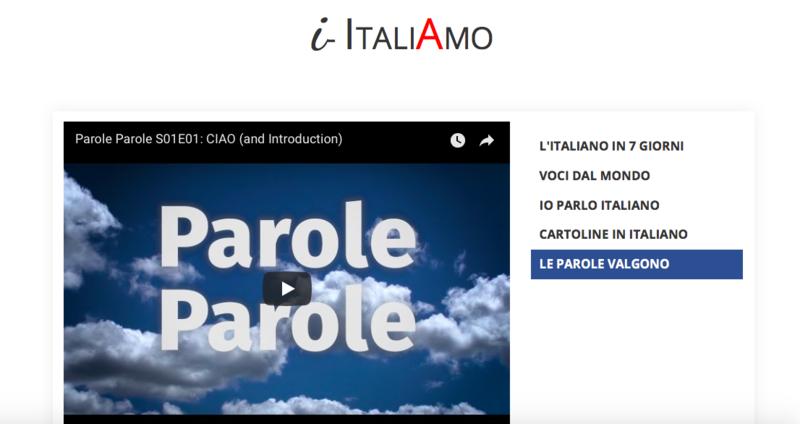 Among these, the episodes of the web series PAROLE PAROLE produced by Casa Italiana Zerilli-Marimò, home of the Department of Italian Studies at New York University, starring professors, artists, writers and journalists, who "donate" each week an Italian word they care about for literary, linguistic, historical or purely personal reasons. For the creation of the website, the Farnesina counted on the collaboration of some institutions active in the promotion of Italian language and culture, including MIUR, MIBACT, the Dante Alighieri Society, the Treccani Encyclopaedia, Accademia della Crusca, Accademia Nazionale dei Lincei, Università per Stranieri di Perugia, Università per Stranieri di Siena and Università degli Studi Roma Tre. AItLA (Italian Association of Applied Linguistics); ASLI (Association for the History of Italian Language); DILLE (Society of Didactics of Languages and Educational Linguistics); SIG (Italian Society of Glottology); SLI (Italian Linguistics Society) and SIFR (Italian Society of Romance Philology) are all the Scientific Societies intervening in the linguistic field. The hope, therefore, is to simplify foreigners learning the fourth most studied language in the world after English, Spanish and Chinese, and keep constantly updated our compatriots abroad and, more generally, all the lovers of our culture. On the other hand, people have always been fascinated by Italian for its musicality, but above all because it is the language of the greatest poets, painters, actors and composers of all time; it is the language of fashion, class and elegance; it is the language of taste and the art of cooking and for all these reasons it will never set. Does the article have a link to the actual MAECI portal site? I am having difficulty finding it.